Once upon a time a baby giraffe was born. He was handsome, chubby and seemed perfectly formed…except for his legs. They were too short, you see? The other animals crowded around, making sympathetic sounds. This little giraffe, they all agreed, would not amount up to much. Giraffes, like we all know, need good, strong legs. Without them, they can’t reach the succulent leaves at the top of the acacia trees – and they can’t run away from the many predators in the woods. A short-legged giraffe has no chance. Still, his parents gave him a name – Oscar – and tried to raise him as normally as possible. Uncle owl suggested stilts, which nephew Baboon made from strong the bamboo stems. At first the little giraffe struggled to remain upright, but then something strange happened: his mother discovered that he was extremely strong-willed. Oscar refused to give up. This, of course, made his family very proud. Maybe, they thought, the little disadvantaged giraffe will be able to fend for himself, after all. 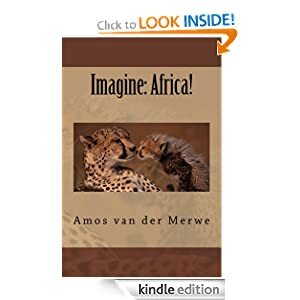 Something else happened inside the young animal’s mind: he was determined to show them – all of them, especially those who had said he wouldn’t make it – that he would be the best. The fastest. The strongest. In fact, the most famous of them all. As the bamboo stems dried out, little Oscar found they bent when he put his weight on them. Then, when he shifted his balance, the bamboo would spring back to being straight. Initially, this unexpected quality of the stems caught him off-guard, and his family had to help him up time and again. But later, quite a bit later, young Oscar used this spring-like effect to propel him at amazing speeds across the veld. Now: everybody loves a winner. They started taking bets: could young Oscar run faster than Lion? Oscar left him eating dust. By now, the animals all wanted to be friends with the speeding, short-legged giraffe with his bamboo legs. Sympathy turned into adoration. And the strong-willed and almost-no-longer-disadvantaged giraffe soaked up the admiration. He liked the way the other animals deferred to him, allowing him the best grazing spots, the coolest bits of shade and the nicest place at the waterhole. They laughed at all his jokes. And, because he was so fast, even the predators and the carnivores kept their distance. Sadly, Oscar developed what the other animals whispered about as ‘a bit of an attitude‘. Nothing much, you understand? It’s just that he became a bit arrogant. And…who could blame him? He was the best, wasn’t he? And should not the best, expect the best? So sometimes – not often – he’d growl and grumble (giraffes do this rather quietly) to show his displeasure if things didn’t quite please him. Then something terrible happened. One night – quite late – the young giraffe took off his bamboo stilts to lay down. He did this every night, you see, to allow his short legs to rest before he strutted out his prowess for all to see in the morning. And something happened. During a dark and stormy night the young giraffe did the unthinkable. He lost control. Nobody is sure, but it became abundantly clear that Oscar did something so terrible, so completely horribly detestable, that all the other animals turned away in shock and shame. And now something even worse occurred: the animals brayed for blood. His blood. The situation became bad enough for other animals from other parts of the forest came to see how the young giraffe was made to pay for his transgression. And the young giraffe cried. And he couldn’t fix the horrible thing he had done. And then he died. He still breathed, of course, but his strong will was broken and his bamboo legs were to slow and too short to carry away from the shame and the grief he had caused. And for the rest of his miserable life, the only thing he could hear, was the braying for blood and revenge. When he died eventually – really stopping breathing this time – his last request was that his funeral pyre be stoked with the bamboo stems that once made him famous. There’s a moral to the story, of course. We’re all born with disabilities – some are a bit more obvious than others. Over time, we overcome these defects and we strive to live normal lives. A select few of us will even become famous for what we’ve achieved. Some will thrive on the attention and the fame and the adoration. And then, inevitably, Icarus flies too near the sun and the wax melts and the wings come off. Then, those of us who are spectators on such a tragedy have a choice: Either we join the carnivore choir for blood and revenge – or we become silent as we contemplate the sad and grim reality of those involved with the Fall have to live with. Maybe that little giraffe made the worst mistake of his life – willingly or not – and this affected those closely involved in the most negative way. Maybe his life and way of doing things were not solely the result of some birth defect. Maybe the animals who made him believe he could fly with his waxed wings of bamboo legs were responsible as well. Or maybe the worst thing about the fable is not the horrible deed that was done…but the way the other animals brayed for blood afterwards. 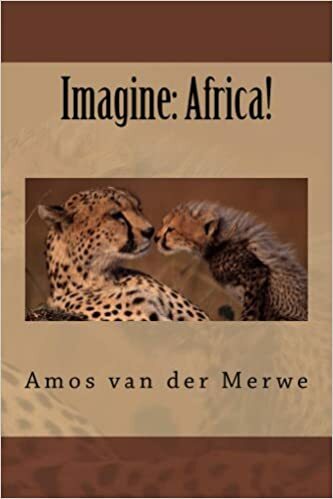 This entry was posted in short stories, smalltown short stories, Uncategorized and tagged fable, justice, oscar, oscar pistorius, reeva, revenge, trial on March 5, 2014 by Amos van der Merwe. Whatever Happened to Mister Average? Boggel gets on his beer crate to scan the faces of his customers. When he does this, they know it’s time to remain quiet, he wants to say something. “I have something to say,” he says. “Get on with it, Boggel, we’re discussing the Oscar case. You’re interrupting a serious conversation.” Servaas scowls into his beer as he waits. “That’s my point, you guys. Whether Oscar is guilty of a heinous crime, or if he made the worst mistake in his life, is something the courts must decide. But the reason you chaps is in such a deep discussion, is because Oscar is…well, he’s Oscar. National idol, international icon. A real modern-day example of overcoming all the odds. The man with no legs, who competed in the Olympics. “My point, exactly, Servaas. Suppose she was just an old woman, living on a farm? Who would have noticed? Who would have cared? Do you think that BBC, CNN and Sky would have bothered to send a single journalist to cover the story? But no! Take an Olympic star, a model, and a gun – and you’re guaranteed hours and hours of screen-time. “My question is simple. Why, oh why, is the loss of Reeva – as sad as it is – more important than the murder of thousands of farmers? Is the death of one lovely girl at the hand of an idol, so important that we ignore the 3000 farmers killed by criminals? Why is CNN quiet about that, huh? And some say 70,000 Whites were killed violently since 1994, remember? Where’s BBC? Goodness knows what the figure amongst our Black population is – it’s probably even more horrendous. Do you think Sky was interested? “Why do you insist on discussing Oscar, when women are raped at the rate of one every four minutes in our country? Children are being mutilated for muti, young men die at initiation schools and two children are murdered every day. Last year alone, there were more than 15,000 murders in our country. Did you see it on any front page in London or New York? “Okay, Boggel, you’ve made your point. But we’re just chatting about Oscar, and you’re talking about changing the world. It really isn’t the same thing.” Servaas points to his empty beer glass as he shakes his head. Boggel obliges by opening a cold bottle of Castle. Sometimes he wonders why he even bothers to talk to his customers. Maybe he expects too much from them? The little bent man slams down the beer in front of Servaas, rips off his apron, and storms out. He’ll take a long walk, calm down, and be the quiet barman once again. Like the rest of the country, he’ll just have to learn to ignore reality and go on living with Alice and her friends down that damned rabbit hole. At least they seem happy down there. 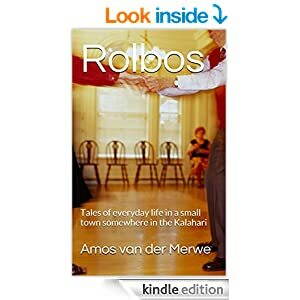 This entry was posted in short stories, smalltown short stories, Uncategorized and tagged BBC, cnn, media, newspaper, oscar, pistorius, postaday, reeva, Sky, society, TV, WPLongform on June 5, 2013 by Amos van der Merwe. “Never heard of it,” Servaas says sourly. “That’s because you are such an old sourpuss, Servaas.You never enjoyed your youth. Age of Aquarius? You’ve never heard about that, either. And Bob Dylan? Pffft …. !” Gertruida can’t understand why some kids get born to be boring, serious and frowning all the time. Before the old man builds up enough steam to look even more disgruntled, Kleinpiet orders a round. 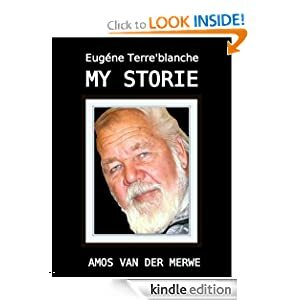 This entry was posted in smalltown short stories and tagged age of aquarius, celebrities, entertainment, oscar, rodriques on February 25, 2013 by Amos van der Merwe. Servaas is quiet all of a sudden. Many years ago the brakes on his car failed… The child survived, but it could have been so much different. “Look,” Gertruida says, because she knows everything, “you guys are starting the gossip-thing again. The facts are simply that we don’t know what happened. It could be this. It could be that. And what does it matter? The girl is dead. The man’s life is ruined. Two families are devastated. Gossiping and all the hype and drama, the second-guessing and thousands of photographs…does it change anything? “It is, Vetfaan. It is.” Gertruida sniffs loudly, sips her beer and takes a deep breath. “But there is one thing. The only trump we have. A final chance. And it’s called forgiveness. You can’t forgive, if you haven’t judged something to be wrong. Neither can you forgive by not distancing yourself from a situation. Forgiveness does not mean something didn’t happen and now everything is hunky-dory. It simply means you have decided something is wrong and that you no longer associate with it. It means you get it out of your system and refuse to drag it along with you any longer. It also means you hold no grudge. “People think forgiveness is the same thing as condoning or accepting are forgetting. That’s wrong. There are three processes to consider here: a legal process which must take care of the laws of the land. That means you can sit back and let it run it’s course. There’s also a psychological process, in which you free yourself from whoever did wrong. And then there’s a religious process, where you know you are not going to be the final judge in the matter. Silence reclaims the upper hand in Boggel’s Place after Gertruida’s speech. It’s an uncomfortable silence – one that is felt in every home, every office and on every street corner – right across the world. And in that silence, quietly, confidently, the vulture waits. 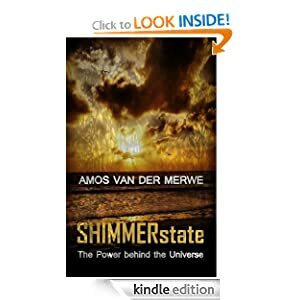 This entry was posted in smalltown short stories and tagged court case, forgiveness, murder, oscar, pistorius, polyanna., reeva, society, steenkamp, vultures on February 21, 2013 by Amos van der Merwe.